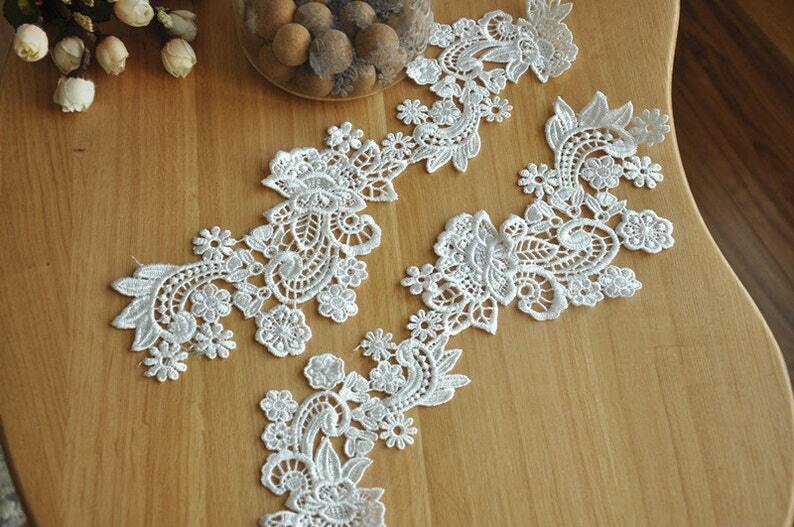 This lace is so beautiful! I'll be using it for my wedding dress that I'm making. I'm so excited to use it. It all looks exactly as advertised and showed up in about two weeks. They even threw in an extra pair which is nice! Beautiful lace, delivered faster than expected. Love this fabric so much! I am making my own wedding dress and I was looking for something unique and this is totally perfect! It looks exactly as it is pictured and it arrived quicker than I thought!